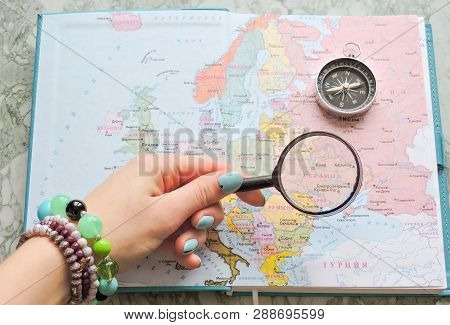 travel › Buy Poster of Top View Of A Map And Items. Planning A Trip Or Adventure. Travel Planning Dreams. Map Of The World. Poster of Top View Of A Map And Items. Planning A Trip Or Adventure. Travel Planning Dreams. Map Of The World.